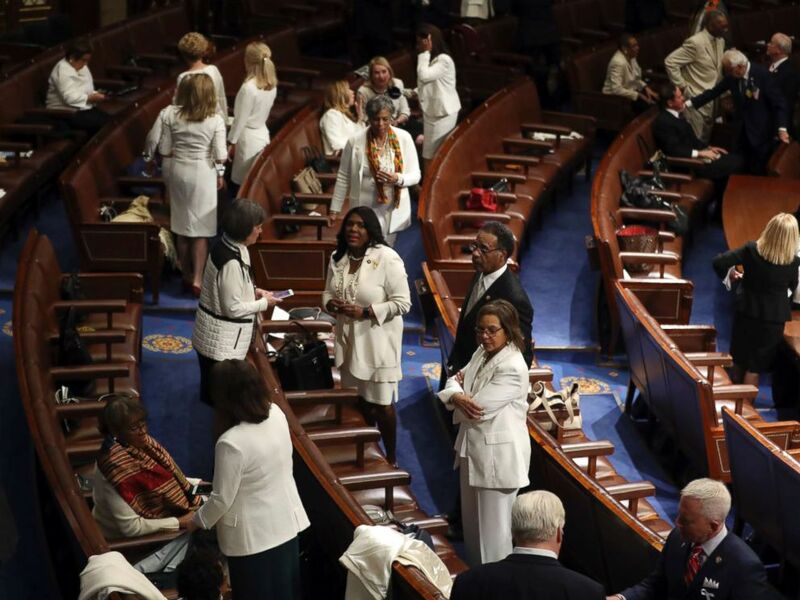 A Congressional women’s group encouraged lawmakers to wear white to President Donald Trump’s State of the Union speech on Tuesday to show solidarity with the women’s suffrage movement. 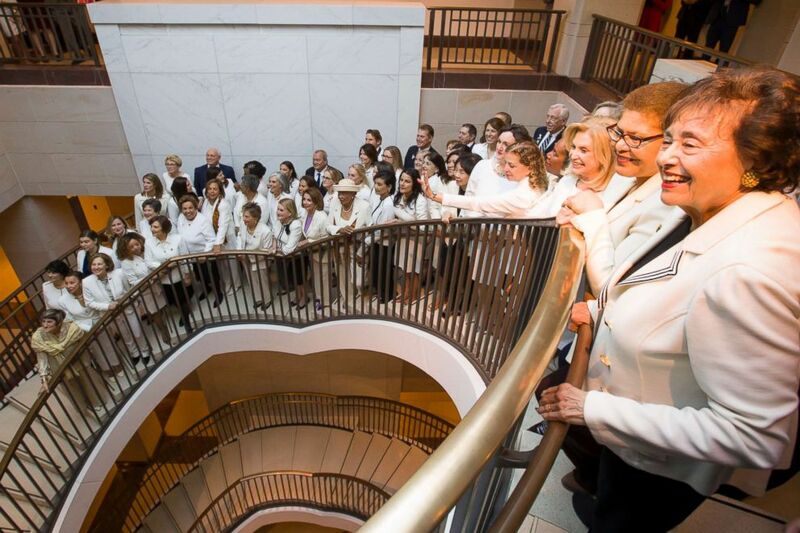 Rep. Nita Lowey is joined by other women wearing white as they pose for a group photo before the State of the Union address by President Donald Trump, on Capitol Hill, Feb. 5, 2019 in Washington. Members of Congress gather on the floor before President Donald Trump delivers his State of the Union address to a joint session of Congress on Capitol Hill in Washington, Feb. 5, 2019. “Honored tonight to be wearing a token of white along with @HouseDemWomen and in support of women’s representation, rights and freedoms,” added Stacey Abrams, who delivered the Democratic response to the State of the Union. ABC News’ Sarah Kolinovsky contributed to this report.